… In With The NEW!! In almost all instances, the first impression is revealed through sight. Are you looking to reveal a New You in this New Year? 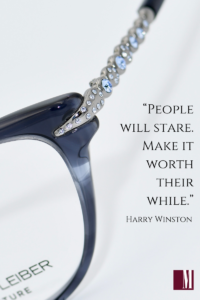 Three designers new to Montgomery Vision Care will help you frame your face beautifully with colorful and unique designer eyewear. As an independent optometrist, Dr. Laura Fiorenza is passionate about all things eye. Adamant in her pursuit of vision excellence for her patients, she is equally dedicated to the eyewear offerings in the dispensary. Her hands-on approach includes personally evaluating designers for inclusion in The Collection at MVC. A recent trip to the 2018 Vision Expo West in Las Vegas inspired the addition of three designers whose collections emphasize the inherent beauty of each face. Montgomery Vision Care is easing into all the design options available from the Tom Davies line, currently providing the Ready-To-Wear and Custom choices. 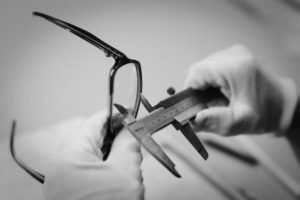 Eventually MVC will roll out the Bespoke fitting kit, offering clients the option of more detailed measurements, including exact eye size, and head measurements that will create customized temples. Have a catchy name or phrase that is just “you”? Bespoke offers the choice of etching that name or phrase along the inside temple. 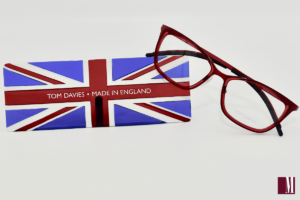 Tom Davies eyewear designs are fashioned with exquisite attention to detail. Frame customization is important for more than the sake of just being unique, as Kim explained. “This is what opticians do: we know what eye size is, we know what bridge sizes should fit and work with people, accommodating the size of the head, and accommodating the temple length. How many times I’ve wanted to fit someone, and they are narrow and need a 150 mm temple and you cannot find it. 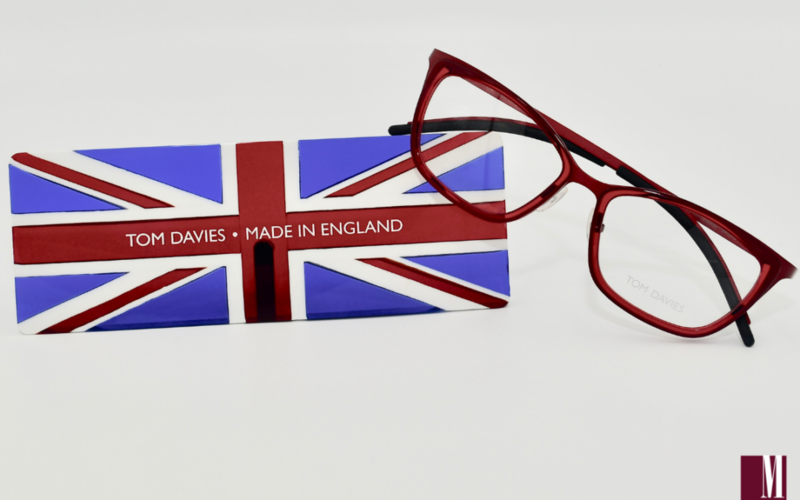 What is really cool about Tom Davies is his passion, and the fact that he’s bringing back the ART of being an optician. I actually looked at him and said ‘I want to thank you,’ and he said ‘for what?’ I said, ‘for giving me back my profession, because as you know, the retailers out there are trying to take it away’.” As evidenced by the brisk sales, clients are noticing and appreciating the addition of Tom Davies’ designs. 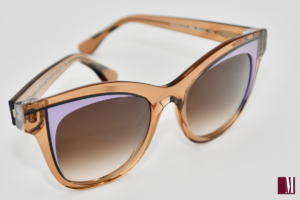 Called “the eyewear master” by In Style US magazine, Thierry Lasry sunglasses deliver a trendy, unique style brimming with color to The Collection at MVC. His “futuristic vintage” look brings back the style of days gone by as his designs integrate vintage acetate from the 80’s with a present-day, flat-front design. (The use of aged acetate is a plus, as it increases durability and holds its luster.) All acetate frames are hand-made in France. While the frame shapes are conservative, the colors are exquisite, bold and contemporary. 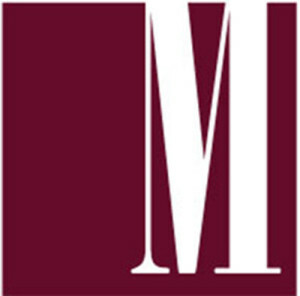 Montgomery Vision Care is thrilled to be offering sunglasses from a designer whose client list includes Beyonce, Nicole Kidman and Gigi Hadid and featured in such iconic fashion magazines as Vogue, Maxim, Cosmopolitan and Harper’s Bazaar. We are excited to share these beautiful NEW designer eyewear additions, and look forward to an amazing 2019!